It’s a bird! It’s a plane! Nope, it’s a parachute. If you don’t believe us, ask British designer Debbi Little, who teamed up with AO textiles in London to create gorgeous pieces of “ecouture”—not a typo, that’s what AO calls their fabrics—by sewing silk remnants onto discarded Ministry of Defense parachute netting. Through the use of organic silk thread and haute-couture techniques, whimsical military-camouflage patterns spring to life on lighter-than-air fibers. Little and AO may have named their collaboration “Little AO,” but there’s nothing meager about their product. AO Textiles had its genesis in 2006, when the firm collaborated with Aveda on a collection of sustainable dresses. AO Textiles had its genesis in 2006, when the firm collaborated with Aveda, a natural-beauty company based in New York, on a collection of sustainable dresses that Vogue dubbed “elemental, like sunset and storms.” Little, a 10-year veteran of recycled fashion, sells her parachute garments to high-end retailers such as Neiman Marcus and Browns. Together, AO and Little have outdone themselves with their perfectly dyed, perfectly stitched sheath-dress-and-clutch combo. Sophisticated, playful, and stunning in their simplicity, the pieces are surely only a preview of even more masterful work to come. It's a bird! It's a plane! Nope, it's a parachute. 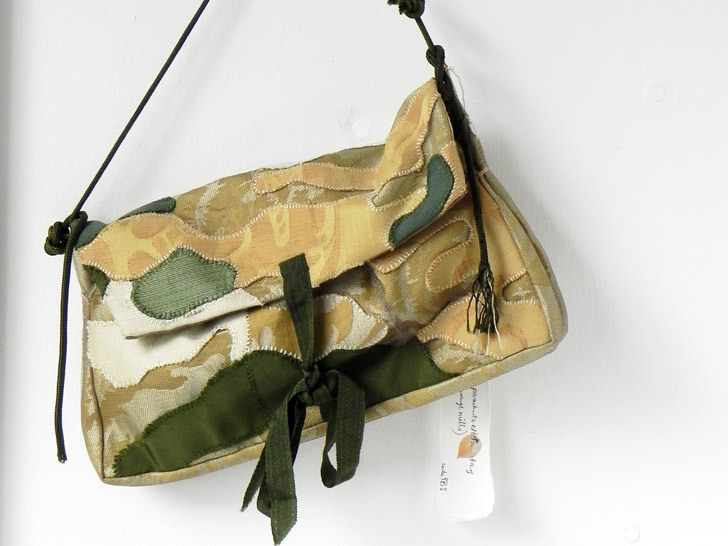 If you don't believe us, ask British designer Debbi Little, who teamed up with AO textiles in London to create gorgeous pieces of "ecouture"�not a typo, that's what AO calls their fabrics�by sewing silk remnants onto discarded Ministry of Defense parachute netting. Through the use of organic silk thread and haute-couture techniques, whimsical military-camouflage patterns spring to life on lighter-than-air fibers. Little and AO may have named their collaboration "Little AO," but there's nothing meager about their product.